Kmart, please stop trying to make Easter Christmas (Easter-mas?) happen. Easter and Christmas are not the same thing. I mean, yes, there are similarities in that they are both Christian holidays based on pagan celebrations, but that is IT. Easter is the Christian holiday commemorating the death and rebirth of Jesus Christ. We celebrate this by lying to our kids about a magical rabbit who hops into our homes at night and lays leaves chocolate eggs everywhere. It makes perfect sense. Christmas, the commemoration of the birth of Jesus, is completely different. We tell the kids a big dude in a red suit squeezes down the chimney in the night and leaves them presents based on their standard of behaviour that whole past year. There’s a religious element to both, for those that are into that, and a pagan-inspired bit of fun for everyone else. But they are totally different. Which is why we need to talk about Easter-mas. Stop trying to make Easter-mas happen. Wreaths are a Christmas thing these days. The Ancient Romans hung them up as a sign of victory and the Christians adopted that to symbolise eternal life. And Kmart just waltzes in amid centuries of tradition, and whacks some plastic eggs on a wreath like it’s no big deal?! It is March 26th and Easter is next weekend but can I remind you, Kmart, that some of us only just finished putting away the Christmas decorations? And you want me to decorate AGAIN?! And Easter trees? Oh, hell no! Back in the day, Vikings decorated their homes with evergreen boughs to honour their sun god, Balder. Other cultures did the same to ward off sickness, witches and evil spirits. It was sometime in the 16th century, in Germany, when Christians adopted the practice to celebrate Christmas. All of this is in recorded history. 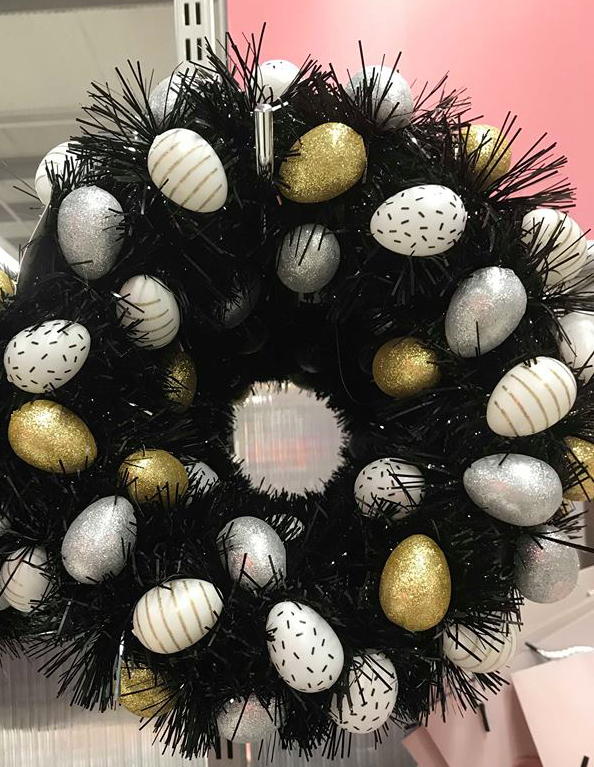 Will there be an entry into the official history of the world that states that Australians started decorating like this at Easter, simply because Kmart started flogging us EASTER TREES?? Big, fat NOPE. So you can keep your Easter tree accessories, too, Kmart! I will not be seduced by the pastel colors and glittery lights! Between school, work and extracurricular activities, is it really fair to expect me to deck out my house in a bunny and egg theme as well??? Easter dinner doesn’t need an Easter Cracker! Once a year, we sit around shoving ham in our faces, drinking beer and wear stupid paper hats. We read out the enclosed jokes and everyone groans. Then, we all look for a kid. One who is old enough to not choke on said toy but young enough to get some sort of enjoyment out of a plastic frog or weak AF magnifying glass. Once a year is more than enough for that level of excitement, thank you very much! 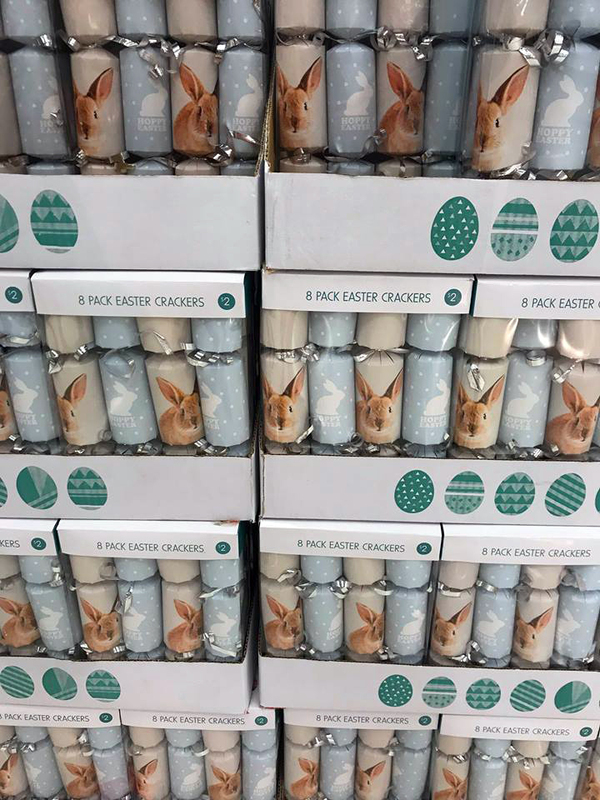 Kmart, Easter crackers do not need to be a thing. I’m saying no to the Kmart Easter/Christmas fusion. I’m not sure if this is a clever way for them to upcycle leftover Christmas decorations or just a blatant appeal to consumerism. Whatever the reason, I refuse. I have done my share of Easter decorating and managed to contain it to a single hat for the school parade. There was hot glue and minor burns everywhere but we got it done. Kmart, that was more than enough. I will be damned if I’m going to go and fork out for an Easter tree, wreath or any other Easter themed stuff that will just mean more work for me. We can happily stuff ourselves with chocolate and hot cross buns without a single Easter bauble hanging anywhere in this house and I guarantee that they’ll taste just as awesome! Sorry, Kmart, but Easter Scroogedom is as close to Easter-mas as I’m prepared to get. If you feel so inclined, go all out! This is not intended to direct you or anyone to not decorate and do Easter-mas things. Just me saying I am not because I CBF. It was meant to be read and tongue in cheek, not a serious indictment of Kmart or anyone who decorates. It just seemed like one more thing I’d be expected to do. If you love Easter decorating, have at it and enjoy!